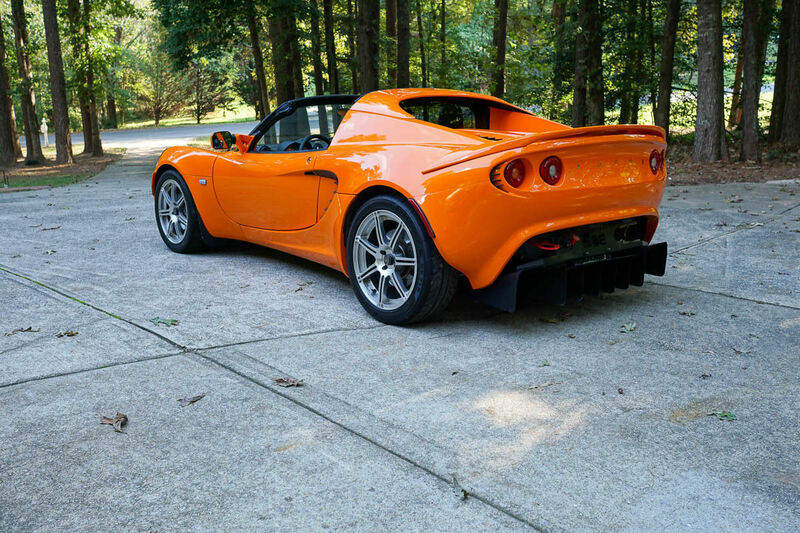 What do you get when you take a souped-up engine from an Acura RSX Type-S and put it in the famously light Lotus Elise? 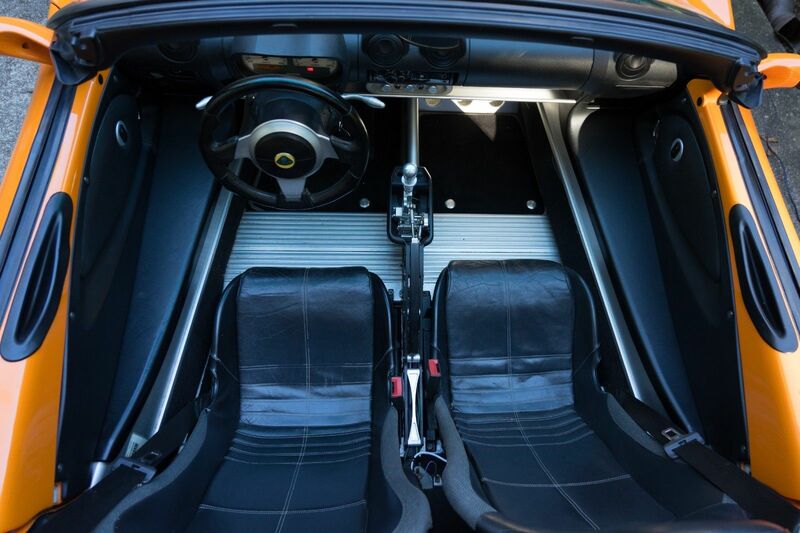 The answer, of course, is one attractive package that can dominate both the road and the track, the likes of which has been found for sale on eBay in Raleigh, North Carolina with a buy-it-now price of $40,000—or best offer, if you're feeling lucky. 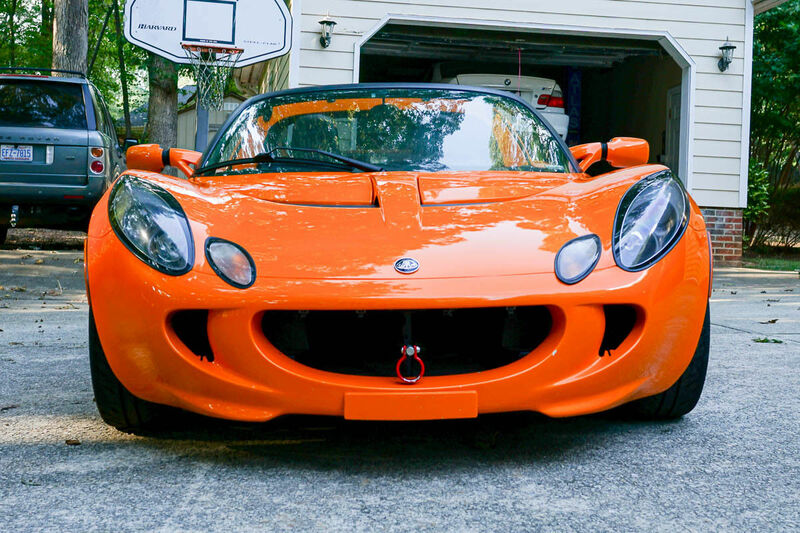 The Lotus Elise was never known for its performance on the spec sheet. 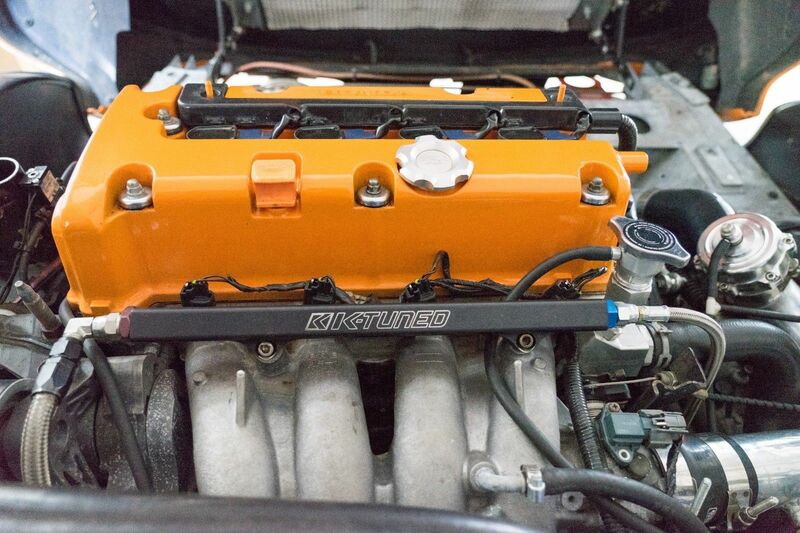 The 2005 model was powered by a 1.8-liter Toyota 2ZZ inline-four that was infamously shared with the Pontiac Vibe and Toyota Matrix (albeit with different tuning), making 190 horsepower and 133 pound-feet of torque. 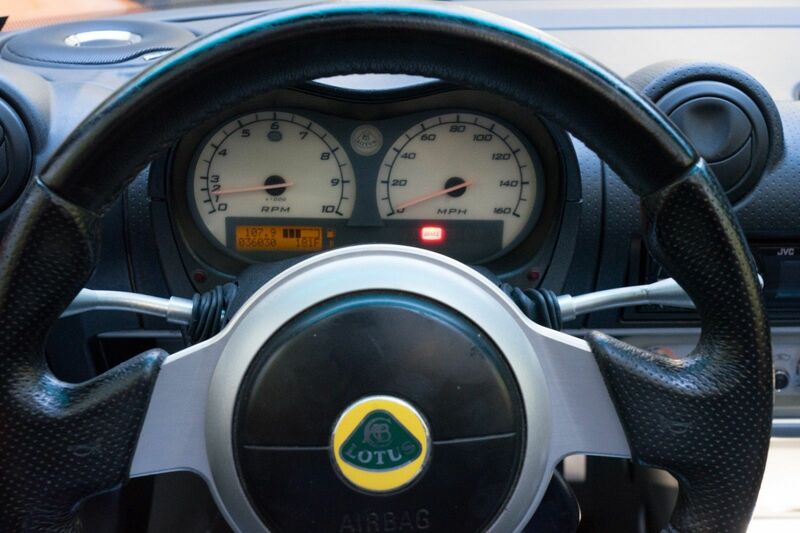 Being a Lotus, it was all about lightness, so really its power and torque ratings didn’t matter all that much. 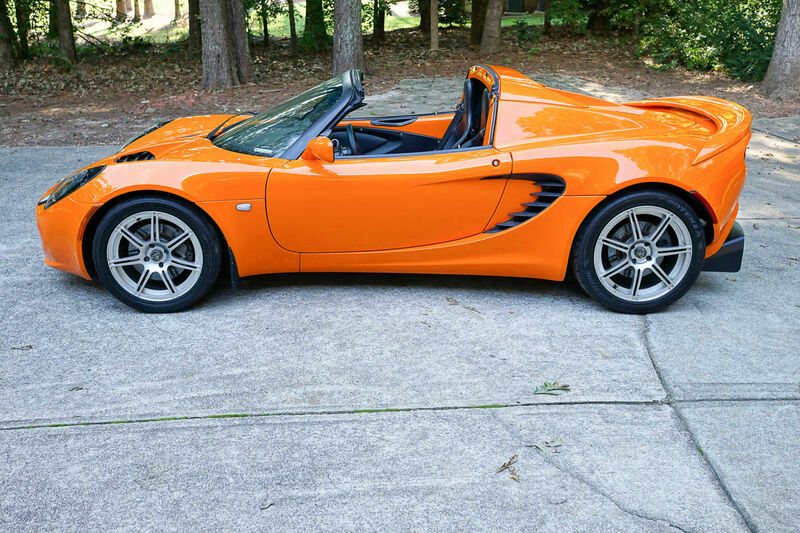 But in case you want an Elise with 330 hp and 300 lb-ft of twist at the wheels, then this is the Lotus for you. The owner didn’t like the issues that were common to the 2ZZ, so he decided a souped-up Honda K20 2.0-liter inline-four would be better. 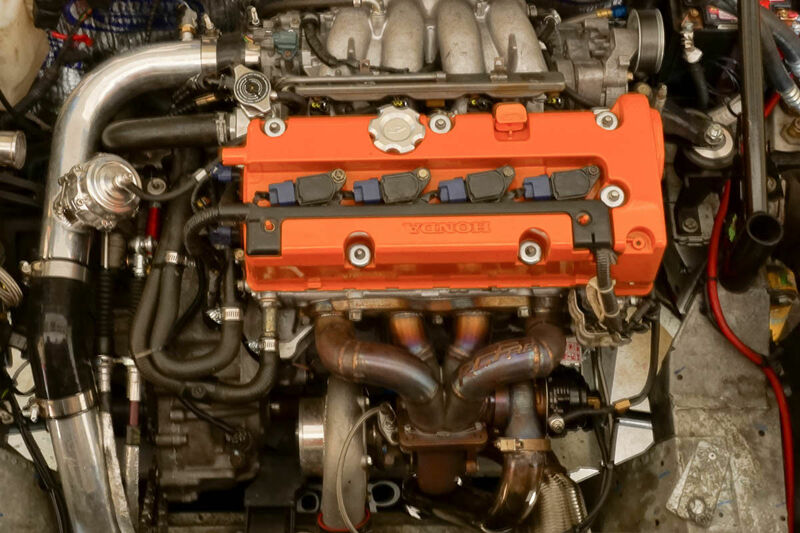 The engine in this Lotus is a K20A2 donated from a 2003 Acura RSX (née Integra) Type-S and rebuilt with Wisceo pistons, Eagle rods, new cams, a new ported Honda oil pump, and a smattering of other new parts. The biggest upgrade to the engine is a Garrett 60-1 turbocharger with an air-to-air intercooler. The owner says it can crank out 11 psi of boost on 93 octane gas, which helps it achieve the aforementioned power and torque ratings. That’s a pretty healthy upgrade over both the Elise’s original numbers and the K20's stock rating of 200 hp and 142 lb-ft of torque. The transmission is a Honda K20 six-speed manual transmission with “new gearing” that the owner claims can support the power increase. 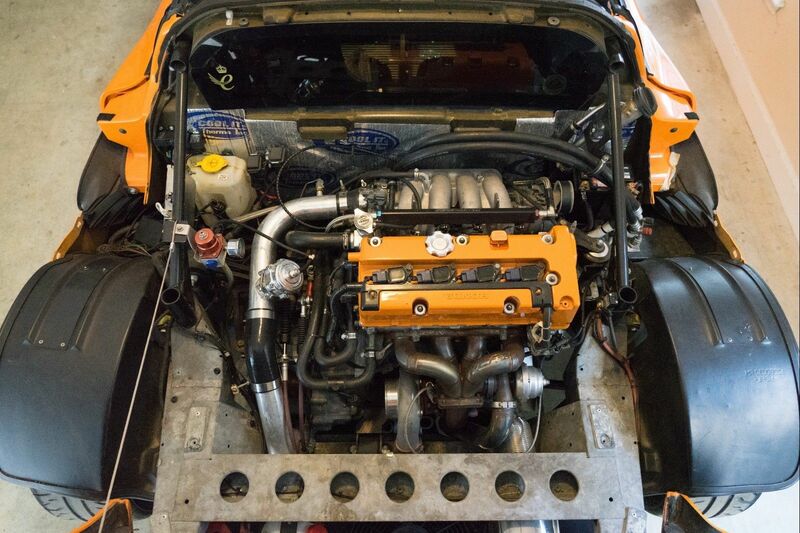 He also says the engine can be tuned for a lot more, which is believable, but a different transmission would be needed north of the car's current numbers. A few trouble areas with this car include some paint defects, a problem with the blower motor resistor, uncharged A/C, and an accident on the vehicle history report. The owner also adds the odometer is functional but isn't accurate to the original mileage of the car. If you really want this car, you should probably get to the bottom of that. The seller wants an even $40,000 but he's also willing to trade for a Porsche 911. For perspective, that kind of money in the world of 911s could net a clean 997 or maybe a 996 Turbo.